Nestled between Longport and Ventnor, Margate is a small beach town with clean beaches, safe playgrounds, great restaurants, and tourist attractions. 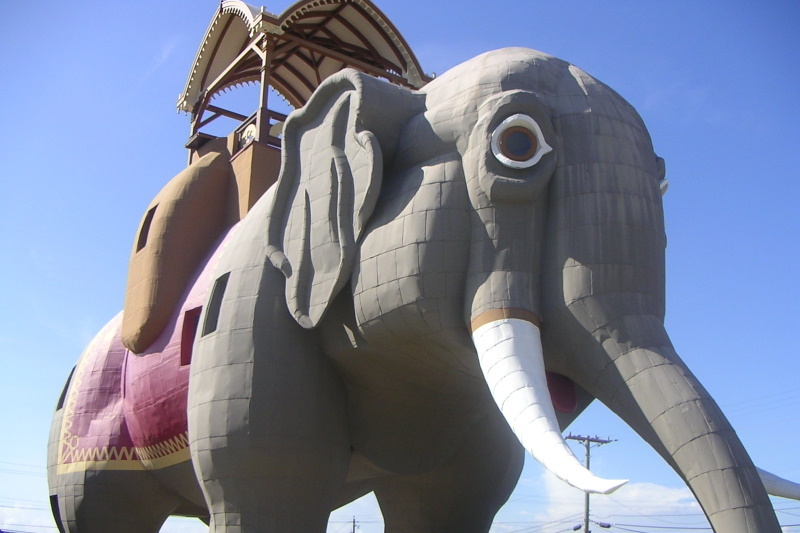 Margate is the home of the famous Lucy the Elephant a giant elephant which can be toured.. The "All Wars Memorial Parkway Section" is the most highly sought after, desirable and prestigious neighborhood in all of Margate City. The number of homes situated on this stretch of land is limited to only 22, all boasting enormous well shaped lots with zoning limited to single family residential status. The Parkway Section itself consists of a very wide section of Ventnor Avenue and features beautifully manicured landscaped medians that are highlighted with dogwood trees, lush flower gardens and sparkling fountains. All designed to create a family neighborhood ambiance, tranquil setting harkening back to the simpler days of years gone by. These large family homes flanked on either side of the Parkway are perfect examples of English Tutors, Spanish Colonial and Dutch Colonial architectre with alternative styles sprinkled in which are also typical of the period homes. Each and every one of these hallmark homes has been carefully and lovingly maintained over the years with all of the modern conveniences and technological advances implemented as they became available. However, now more so than ever these grand old properties are being demolished with state of the art homes being built in their place, but yet staying true to the architectual style and design of the original homes built over a hundred years ago. 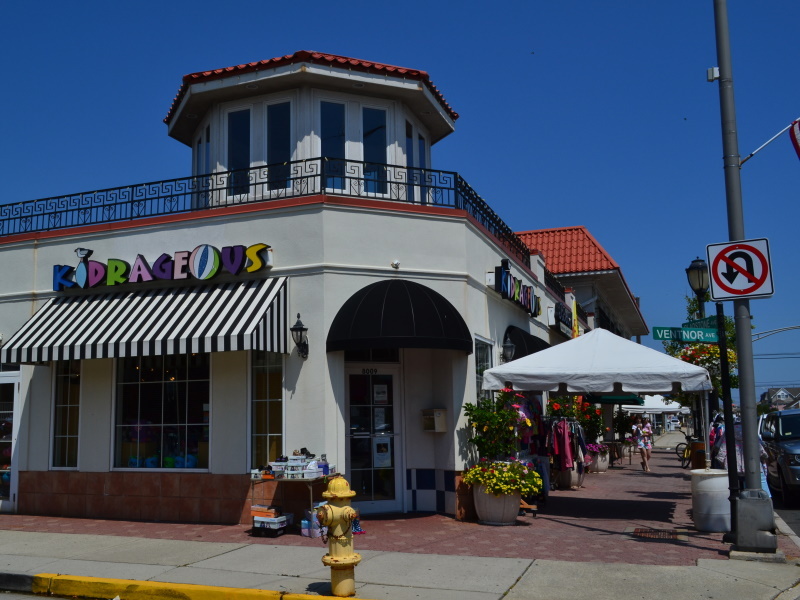 "The Marina District" in Margate or sometimes referred to as "The Presidents Street" is a vacationer's paradise, providing a fun and exciting family environment for kids of all ages. This Margate neighborhood is also home to Margate's landmark establishments. Whether it's the world famous Lucy the Elephant which is our lovable mascot who's also become synonymous with Margate, or Ventura's Greenhouse, or the Margate Dairy Bar. Your family will be sure to enjoy the shopping and night life afforded to you, making the Marina District a perfect summer retreat.The shoreline in this desirable section of Margate is where you will find a nice selection of Luxuary Beachfront high rise condos, which provides all the amentities necessary for the care free lifestyle you deserve. Brand new townhomes and condos are the typical design style of choice throughout the Marina District, with pricing running the gamete. Perhaps the greatest quality Margate's Marina District offers is our shoipping which includes a bevy of 5 star restaurants, casual eateries, bars, a wide array of shops with beachfront and bayfront location alike. The Down Beach section of Margate begins at the Ventnor boardwalk and continues through to the Margate Bridge. Generally speaking Margate Streets are laid out in alphabetical order so simply stated the Down beach Section spans from Andover Ave. to Jerome Ave. For this reason the Down beach section endearingly referred to as the A B C streets of Margate.This quaint Margate neighborhood which is zoned "mixed use" is enjoyed by vacationers and year round residents alike. Just a few of the attractions the family oriented neighborhood is made up of are, its' fabulous fun and convenient business district, schools and houses of worship, a state of the art doggie park, close proximity to the world famous boardwalk, library and community center and of course the finest, widest, beaches on the Island . 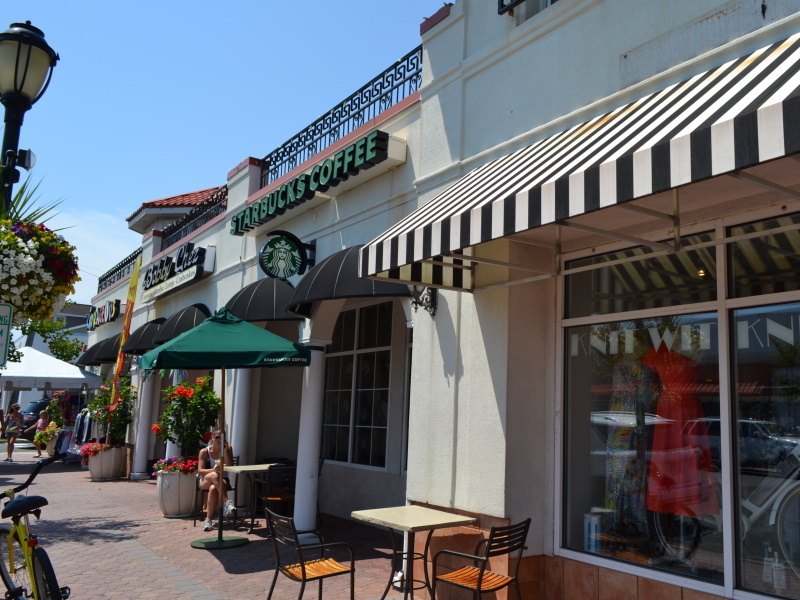 The business district itself is highlighted with a wide array of dining establishments complete with a Starbucks, Jewish style Deli, multiple choices of Fine Italian restaurants, authentic Chinese food and an equal selection of casual eateries. Now that your pallet has been satisfied you can stroll by, and into the locally owned storefronts and shops to pass the time on a summers' day. The homes which make up the Down beach Section in comparison to the Parkway Section are more manageable in size and tend to fit into a Buyers budget more easily than homes in the Parkway Section of Margate.